Recently, I worked on Arduino WIFI solutions. My goal is to send sensor readings through MQTT protocol, the cheaper the better. 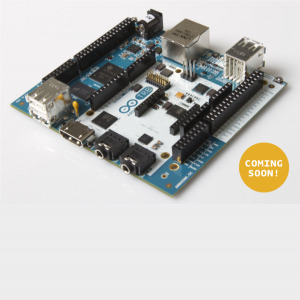 Arduino Yun is good but I need a cheap solution so it's just too expensive for me. There are quite a few cheap ESP8266 modules floating around, so I purchased some ESP-01 modules for testing. 1. Burn ESP8266 firmware from serial port. 2. Quickly switch ESP8266 between firmware mode and work mode. 3. Quickly connect/disconnect ESP8266's serial port to/from Arduino. 4. RST bottom should be able to reset both ESP-01 and Arduino. 5. Optional external 5V power supply (regulated to 3.3V for ESP-01). 6. Series resistor between Arduino TX and ESP RX. Additionally, I think connecting ESP-01 GPIO2 to an LED should be good. It could be used for custom purposes. After 2 runs of PCB making, I have a working prototype ESPShield now. 1. It's just simple and cheap. ESP-01 costs only about $2. And my prototype shield board costed about $3 each. I'm already happy with this $5 solution and it might be cheaper to make more. 2. ESP8266 firmware burning speed could be setup to 1.2Mbps(1228800bps). 3. I modified esp_mqtt_bridge from github to support LED controlling on GPIO2. When MQTT is connected, the LED will light up. Since esp_mqtt_bridge implemented wifi and mqtt client on ESP, it greatly offloads Arduino UNO. 4. Wifi and mqtt are very stable (compared to CC3000). 5. SmartConfig is also working on my prototype. 6. It's possible to send Arduino hex through WIFI and burn it into Arduino with ESP-01. I'm still working on this. It might need some hack to my prototype board. So a 3rd run of PCB is possible. Now I'm planning for a small run of the ESPShield, to make 100-200 units. So I want to know if there's anyone interested in this and, do you have any suggestions? That's great. It's time to involve cheap wifi solution to arduino. are you using ioref to do level translation of rx/tx pins? or at least the rx (input to esp) pin. So the ESP-01 modules are in the same form factor as NRF24L01? NRFs are taller and a little bit wider. 2x4 pins on .01" centers but completely different usage. No, I just used a series resistor to limit current flow into esp rx. However, I think IOREF should be used to pullup esp tx output to 5V. Now I'm working on a 3rd version of prototype, using MAX14591 to do level shifting. ESP8266 is an SOC with WIFI module. NRF24L01 works on 2.4G but it's not WIFI. As Chagrin said, their usages are totally different. That's pretty ambitious if you're soldering by hand. The larger package of that chip (TDFN) is 2mmx2mm - and that's eight pins. And the pads are under the chip.